I actually love this rant, because I am right there with you. I thought I was alone! I hated this book, which I read back in 2005. The characters were very hard to connect with, and I found the whole thing about him going back to her as a girl sort of creepy. And yes, it was poor writing, because she did seem the same at 12 as at 25. And Henry is not a sympathetic character. Oh, you got all the frustrations I felt out on the page! Yea! Steph! I rated this 3 out of 5, too! While I didn’t oppose it as strongly, I definitely can relate with you on this. I couldn’t pinpoint what it was, specifically, and I don’t remember exactly what made this not a ‘keeper’ for me. Usually, when I read something borrowed that I felt like quality reading, I would list them on my notebook as must-buy and must-keep. 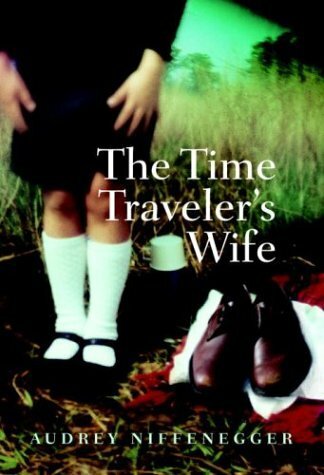 Looking back now, I don’t remember that Time Traveler’s Wife was a horrible read, but because I didn’t list it down as a must-keep, I’m pretty sure I was just indifferent to it. The thing, though, for me was that the main factor that made me like it was that I was affected with their romance and I did shed some tears over it (yeah, I know), and I think that was the reason why it made it to 3 stars for me. As for the rest of the writing, it was unremarkable and I didn’t find it literary either. I agree with you that it felt the author was trying to make it so, but she didn’t quite achieve it. Bottomline, I didn’t appreciate the writing, but I did connect with the characters and their love story (I’m a hopeless romantic). I did find it quite enjoyable, somehow, but not worthwhile. PS. To make things clearer on how I felt about it, it was like watching a B movie that I think is terrible but I’m watching and enjoying it anyway, but afterwards I still feel it was a terrible movie. I won’t go so far to say that this book was a terrible book, but that I felt it was not a good book, but I languished in it anyway, and finished it. (I usually don’t finish a book if I really can’t stand it.) So, yes, I do share most of your sentiments. Whew, that was a long explanation, lol. @ Priscilla: Whew! I’m glad I’m not the only one who thought this book was less than enjoyable. Most of what I’ve read online is about how it’s so dreamy and people get all wistful about as though it was this great love story instead of an interesting paradigm filled with less than impressive characters and writing. I mean, I still feel like I don’t get Henry’s character, what his motivations were, anything, and Niffenegger had more than enough paper to have fleshed him out more. @ Claire: I think I do understand how you feel about the book, because even though there were a lot of things I took issue with on a technical level, I did still give the book a 3! If I had really hated it beyond reproach (as I have other books I’ve reviewed!) I would have rated it much lower. I do admit that even though I felt the characterization and plotting was somewhat lacking, I did still connect with certain themes and ideas in the book; I even wiped a way few errant tears myself near the end. I think it was entertaining storytelling on some level, so even without that emotional resonance at the end I would probably still have given it a 3. And I see what you’re saying with the movie analogy – there are plenty of B (or even C…) grade films that I enjoy in a guilty pleasure way. There’s just always this fine line of whether the people involved realized the caliber of the film they were making, and that’s how I felt about this book. Niffenegger must think this book is art (she teaches MFA-level writing courses… which I find a bit disturbing), and I really do not think it is much more than an airport/beach read. I totally agree: airport/beach read, exactly! In other words, good while it lasts, but not a keeper. Steph, I totally agree (This was one of my train books while in Japan). Now that I think about it, I don’t even really remember the book that much… so I guess that shows how much of an impact it made on me. Oh wait…I remember thinking it was way too long. I think we’re in consensus of the book. I don’t really care for their romance but the turn of the events made me want to read on. Toward the second half, I didn’t hate it, I just wasn’t engrossed. I bought a copy of this book because it was on sale (three for the price of two!) but I haven’t read it yet, which is why I merely skimmed through this post. Is this book secretly just Twilight for adults? most of what Niffenegger writes about are the minutia of daily life that are ultimately not important in real life, and certainly not in a novel, and especially if it means that you sacrifice developing your characters at the expense of cataloging what they ate when they went out for sushi. @ Laura: This was kind of like Jonathan Strange for me for a while, as I’ve had this book for essentially as long, and I know I tried to read it twice previously, only to lose interest and put it down in favour of other books. I suppose a train or traveling is a good time to read it since you have no other choice but to read it (or to people watch!). But then again, remember how I brought that tiny copy of Middlemarch with us on our Extravaganza and I managed to read exactly 0 pages of it? @ Matt: Yes, I’m with you. The only problem is that when you strip off the romantic element with this book, there’s not a whole lot left is there? Just a bunch of soap opera-ish plot devices! @Tuesday: I don’t wholly regret the time I spent reading the book, as at times it was an engaging story. But is this a great example of modern literary fiction? No. Also, I laughed when I saw you were so scared by comparison to Twilight! Honestly, when you do get around to reading the book, I’ll be curious to hear your thoughts on it and to see how much of what I said you agree with. It’s a shame about this one because it has a lot of potential, and I feel like its own creator does it a disservice! I listened to the audiobook a loooooong time ago. I didn’t love it but I didn’t hate it. I wasn’t looking for a literary novel at the time. I loved the premise but thought it could have been done better. Wow, great review! At the time I read this I felt that there were just some things that didn’t resonate with me, but I didn’t really delve too deeply as to why. I remember thinking that Claire and Henry didn’t seem very developed and it was hard to get close to either character. I just didn’t really like either of them. I also felt that the young Claire/middle-aged Henry sections were a bit disturbing, especially since he kept popping up unexpectedly naked. I also wondered about what had happened to Claire after Henry was gone, did she really spend all her time waiting for the moment when he would show up again? It seems like things pointed in that direction, and that bothered me. Though I did have problems with this book, I was mostly engaged with the story, and I cried as well. I agree that the book was a bit emotionally manipulative as well, what with Niffenegger pushing all the right buttons, but failing to invest the story with true and realistic emotions. The funny thing is, it seems as though every time I hear about this book, it is held up as the height of romance. I am really glad to have read your review, I think you did a really great job articulating the problems in this book. I think you’ll enjoy the film a bit more, as many of the things you criticise aren’t present. I love the detail of this review though – very interesting. Well, I didn’t really hate this book, as I did give it a 3 out of 5. I just didn’t love it as most people do – there were more things that bugged me about it than not, but I certainly didn’t hate it, and it’s not like I can’t see why people do like it. And whenever we get around to seeing the film, you know I’ll write about it and let y’all know what I think!